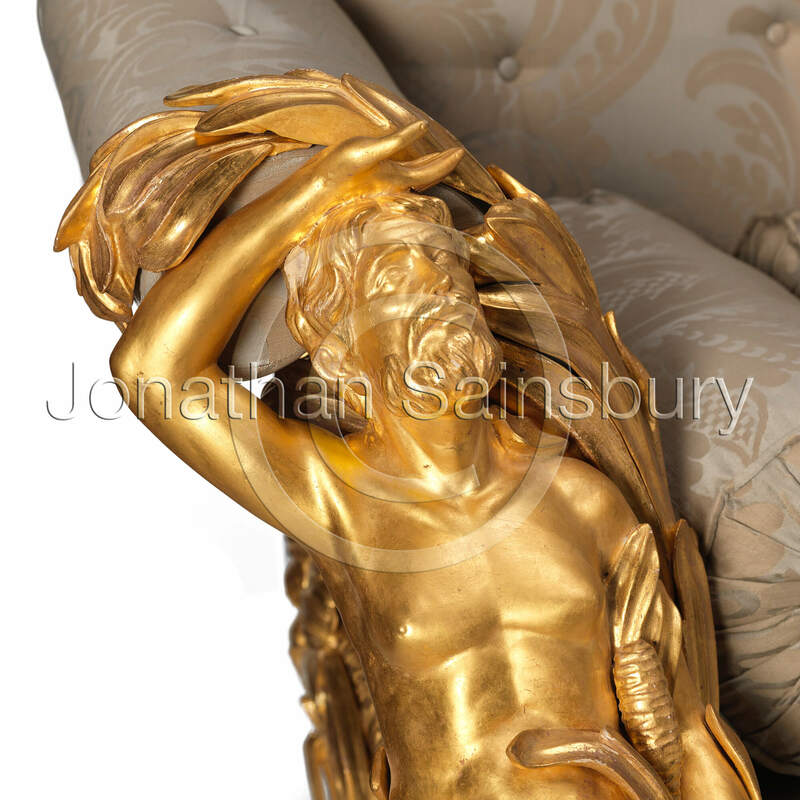 A sofa after a drawing of Robert Adam and made by John Linnell during the period 1762-1765 for the drawing room at Kedleston Hall. 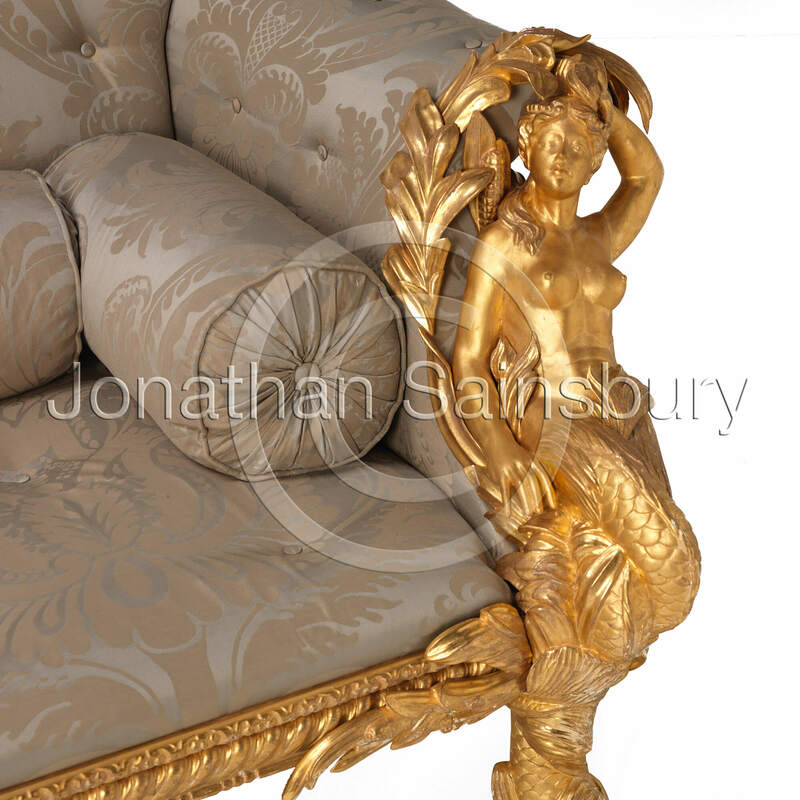 Hand carved and water gilded to match the original in fine detail. This design is one of several designs for the same sofas for the 1st Baron Scarsdale at Kedleston Hall. 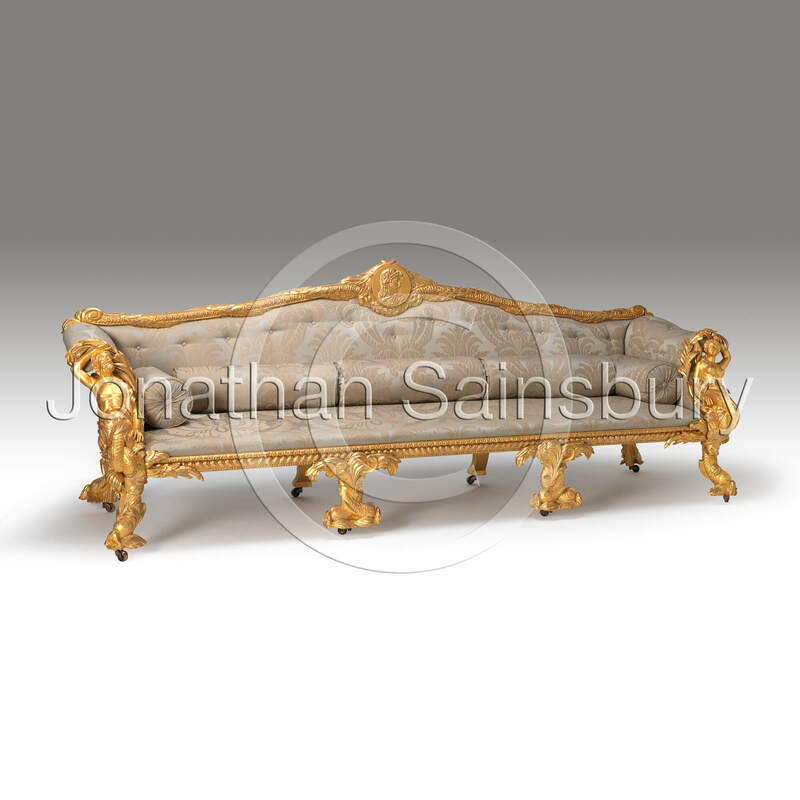 The sofa took three years to make and arrived in 1765. John Linnell (1729-1796) was the son of the famous furniture maker William Linnell (ca. 1703-1763). Unlike most furniture makers, John Linnell gained a design education at the St. Martins Lane Academy, which was founded by William Hogarth in 1735. In 1750, aged 21, he joined his father's firm as a designer. On his father's death in 1763, John Linnell took over the family firm. 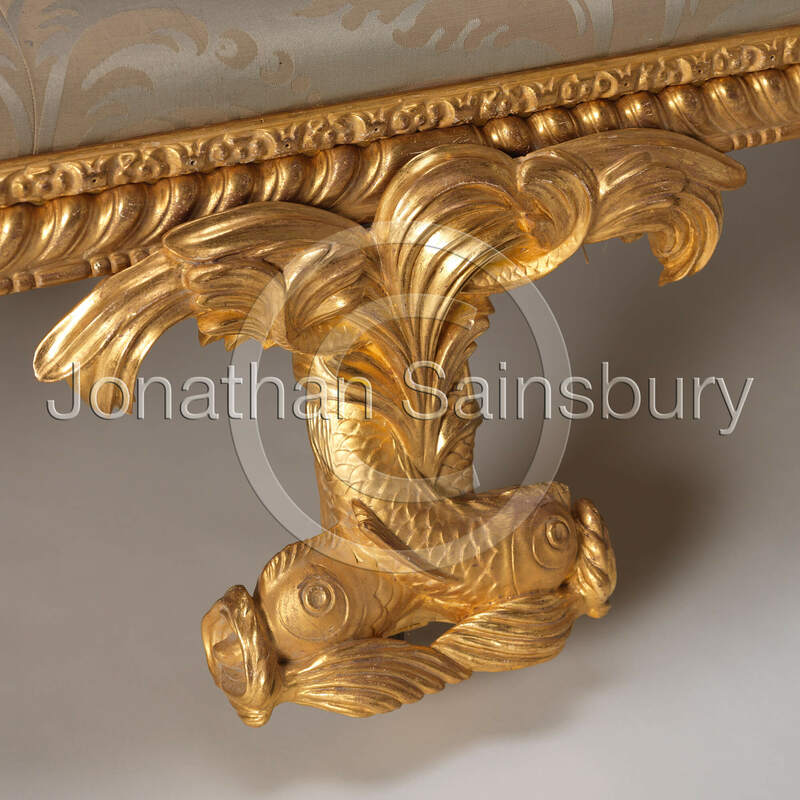 During his lifetime John Linnell produced high-quality furniture, which rivalled that of other leading furniture makers such as Thomas Chippendale, John Cobb and William Ince and John Mayhew.